Unfinished basement has been plumbed.Beautifully maintained by original owners! MLS#21635742. White Stag Realty, LLC. Full basement and an expanded 2 car garage with opener and keyless entry system. MLS#21636372. HMS Real Estate, LLC. 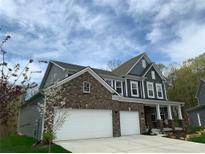 Reserve At Bridgewater Avon - Tons of Updates, ask your agent for the attached list! MLS#21628601. F.C. Tucker Company. Enclave At Winton Meadow - A Great Opportunity At This Price. Schedule Your Showing Today! MLS#21632994. Keller Williams Indpls Metro N.
No HOA and in great Avon Schools. MLS#21624116. Carpenter, REALTORS®. Lawn care and snow removal are a thing of the past! MLS#21636450. HMS Real Estate, LLC. Neighborhood has walking trail and playground. MLS#21636532. Keller Williams Indy Metro NE. 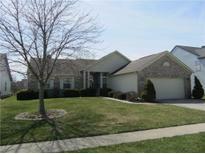 It is located on a larger corner lot which includes a basketball court and nice patio area. MLS#21631744. The Stewart Home Group. 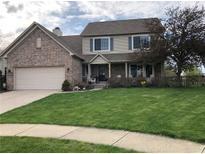 Park Place - Ready to sell, a updated 3 bedroom tri-level with open concept, large family room on lower level with laundry , spacious eat in kitchen, great room with entry to back yard, Easy access to shopping, schools ,Parks MLS#21636290. Hill & Associates. Oaks Of Avon - Don't delay and miss out on this one! MLS#21636107. Mission House Realty LLC. Prestwick Glen - Finished 2 car garage, fully fenced rear yard with covered deck space with built in benches plus open patio area...this home has loads of character, coupled with an unbeatable location! MLS#21636235. M.S. Woods Real Estate, LLC. Plainview Heights - You will love spending your summer in the HUGE fully fenced backyard equipped with a Mini barn, chicken coupe, and space for a garden. Set up a showing today! ! MLS#21635768. 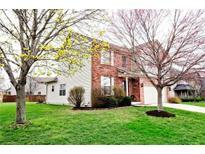 Keller Williams Indy Metro W.
All this plus a 2 car finished garage, fenced back yard and popular Avon Schools! MLS#21636256. RE/MAX Centerstone. Relax in your sunroom or on the back patio. MLS#21635785. HMS Real Estate, LLC. Master features double sinks, beautiful tiled shower, private commode area and huge walk in closet. MLS#21635802. HMS Real Estate, LLC. Master features double sinks, tile shower and walk in closet. MLS#21635814. HMS Real Estate, LLC. Harvest Ridge - Quiet side street with nice view of mature trees in the back yard, covered front porch, wood deck, privacy fence, large great room, master with private bath and huge walk-in closet, 4th bedroom could be bonus room or office, separate dining room and breakfast area, upper level laundry room for more convenience, Lots of appeal and a great neighborhood! MLS#21635548. Wynkoop Brokerage Firm, LLC. Photos shown may be an artist rendering, model home, or of the same model. MLS#21633750. CENTURY 21 Scheetz. Photos shown may be an artist rendering, model home, or of the same model. MLS#21633761. CENTURY 21 Scheetz. Photos shown may be an artist rendering, model home, or of same model. MLS#21633744. CENTURY 21 Scheetz. Photos shown may be an artist rendering, model home, or of the same model. MLS#21633745. CENTURY 21 Scheetz. Pines Of Avon - Updated Hvac And Appliances Make This Home Move In Ready! Come And See! MLS#21635100. CrestPoint Real Estate. Devonshire is convenient to all Avon has to offer; including shopping, dining, parks, interstates and much more. MLS#21634923. HMS Real Estate, LLC. Hollow Brook - Enjoy the outdoors on the large rear deck overlooking the professional landscaping. MLS#21631609. F.C. Tucker Company.